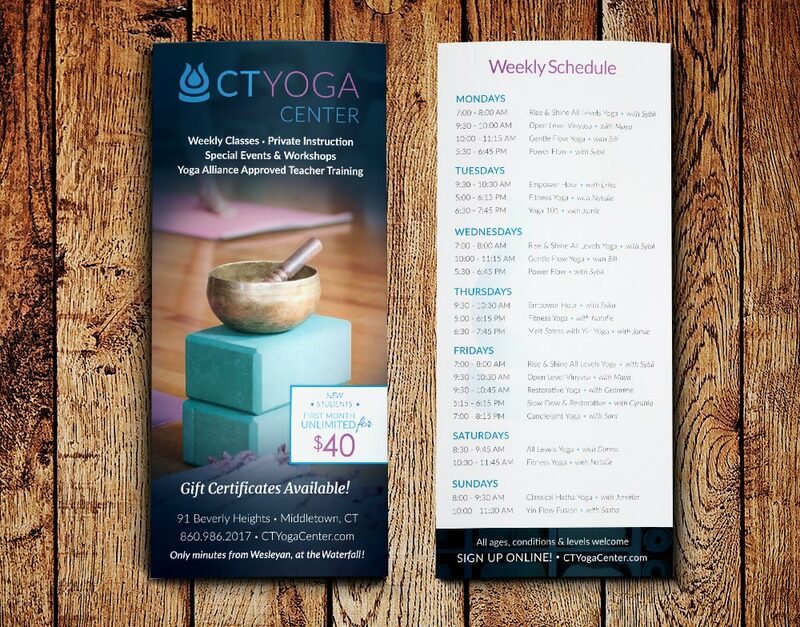 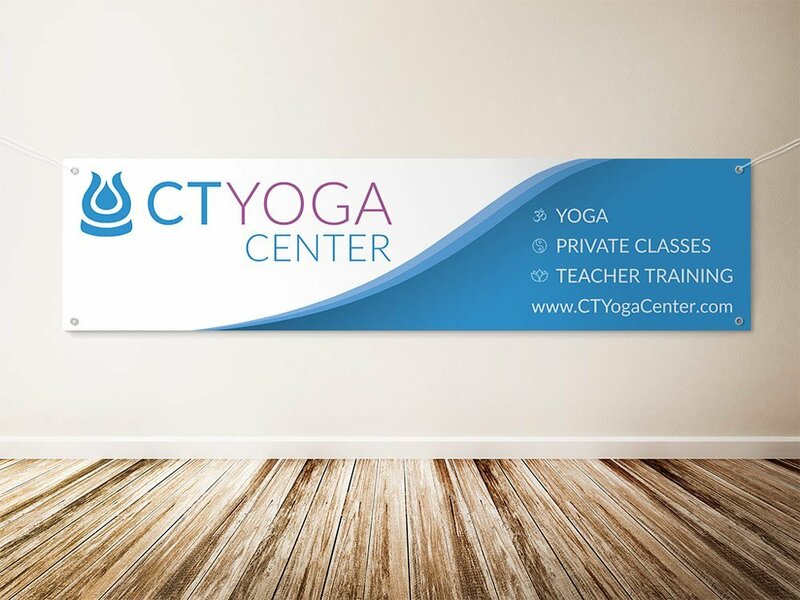 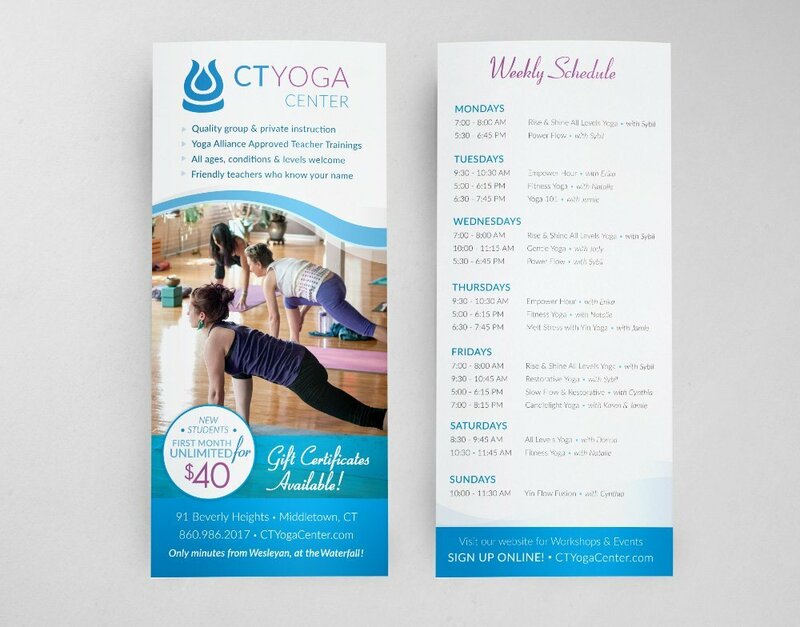 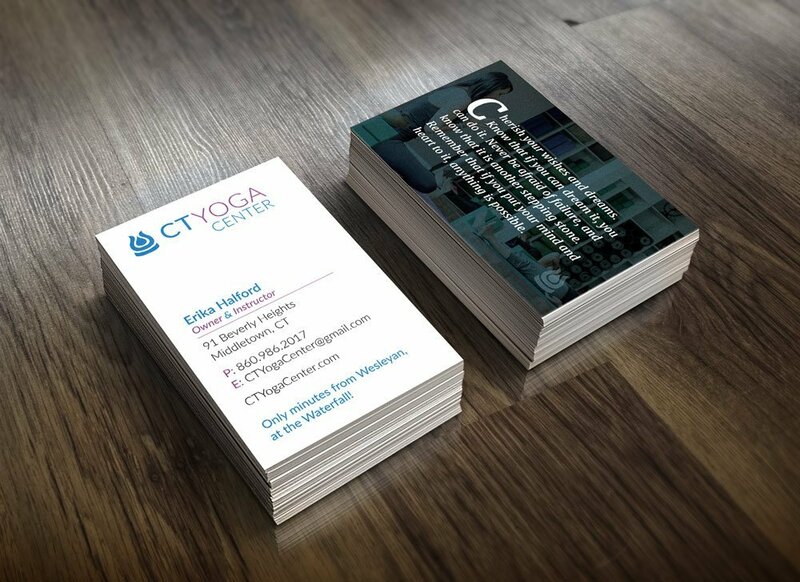 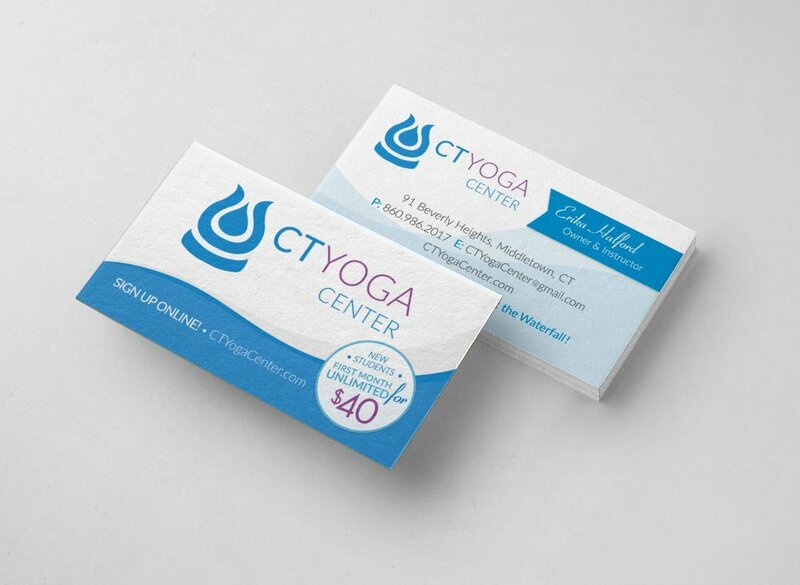 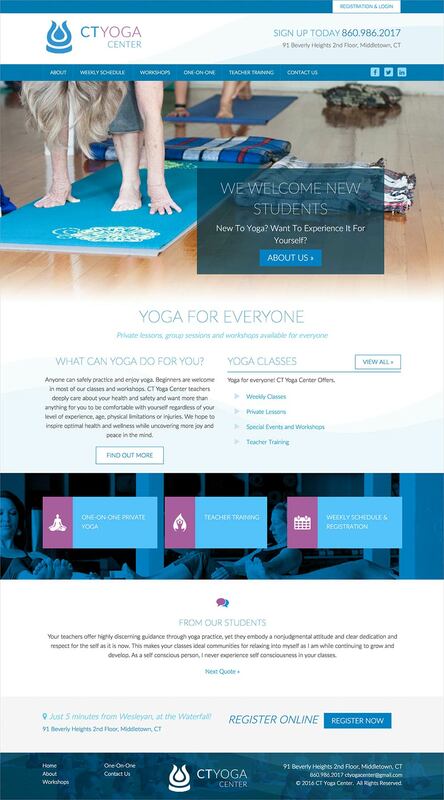 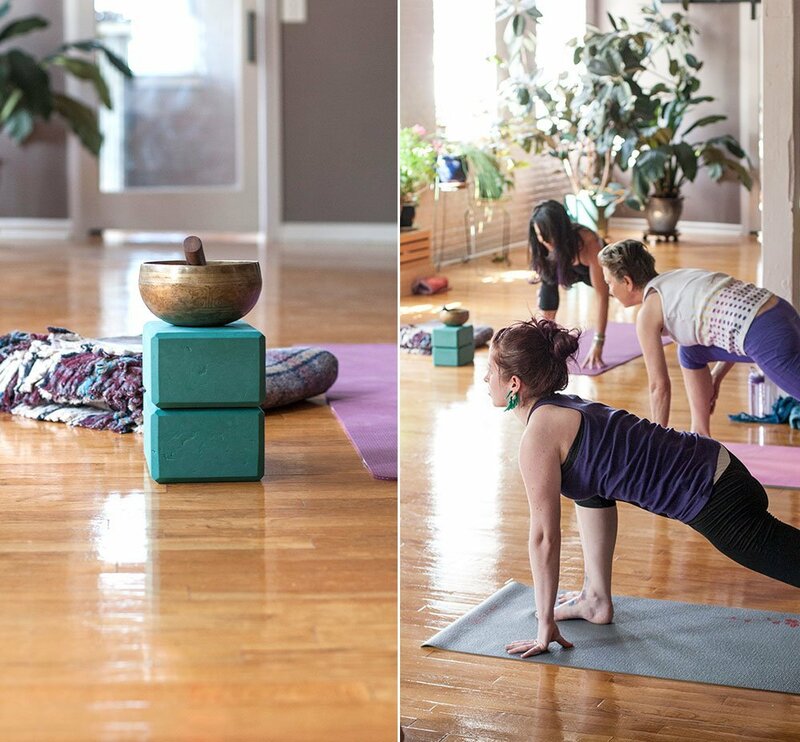 We’ve been working with Erika at CT Yoga Center for quite awhile on many of her marketing and print projects, as well as designing a beautiful and mobile-friendly website. 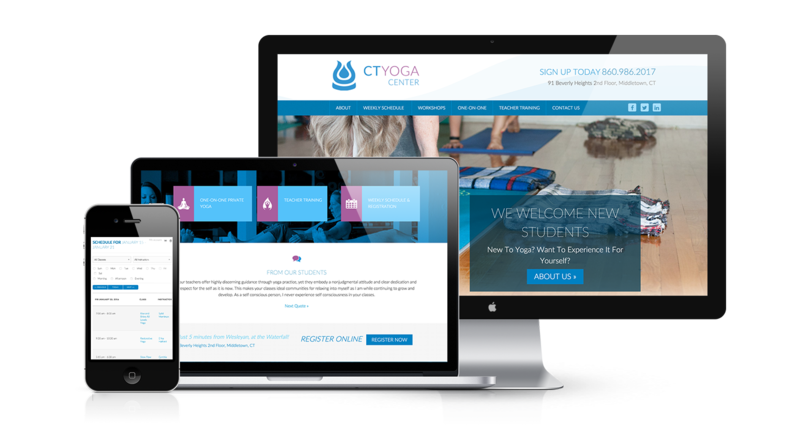 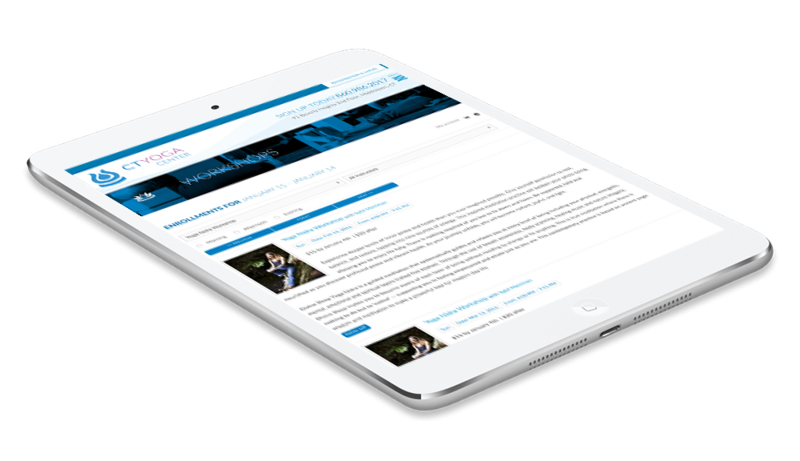 She recently approached us to refresh her marketing and print materials, because she felt after using them for 2 years that they were in desperate need of a face lift – and we were more than happy to oblige. 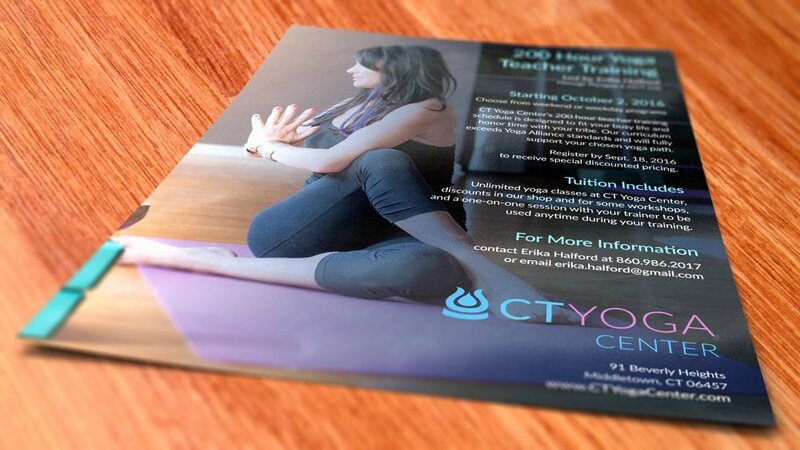 She now has a new banner, business cards, a new flyer on teacher training, and a new double sided rack card.